The Fendi By The Way Bag was first introduced for the brand’s Fall/Winter 2014 Collection. The By The Way Bag is a Boston.. Introducing the Fendi Bags of Fall / Winter 2014 in fluffy shearling material. Fendi’s classic handbags like the 2Jours, Peekaboo and Baguette, as.. Introducing the Fendi Spring/Summer 2015 Runway Bag Collection. 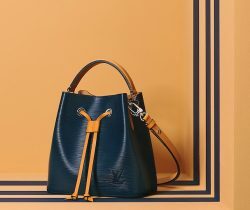 Fendi’s iconic handbags such as the Peekaboo and Baguette have been transformed into micro versions that..
Perusing the recent issue of the Norstrom Fall / Winter 2014 catalog featured a number of the new runway bags and accessories that.. Updated as of May 2015 Introducing the Fendi By The Way Bag, the satchel bag that first appeared in the Fendi Fall/Winter 2014..